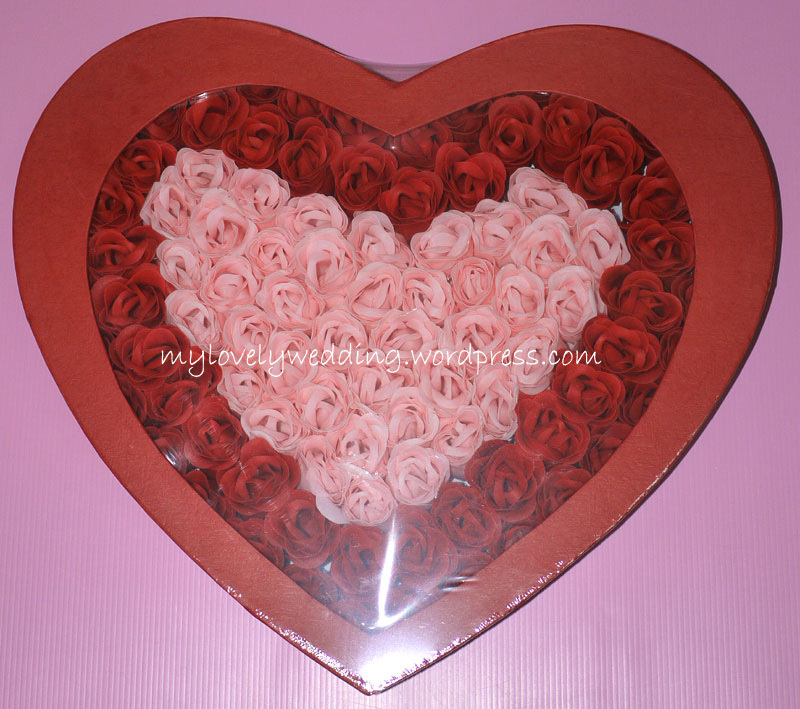 This beautiful 100 pieces of rose soaps are packed in a love shaped box. RM58.oo each. If you have budget and looking for something big as wedding gift, you may consider about this.